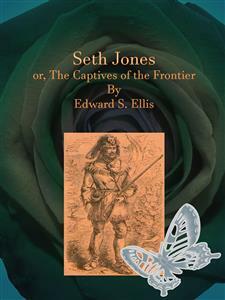 Seth Jones or, The Captives of the Frontier by Edward S. Ellis who was an American author. This book was published in 1860. And now republish in ebook format. We believe this work is culturally important in its original archival form. While we strive to adequately clean and digitally enhance the original work, there are occasionally instances where imperfections such as missing pages, poor pictures or errant marks may have been introduced due to either the quality of the original work. Despite these occasional imperfections, we have brought it back into print as part of our ongoing global book preservation commitment, providing customers with access to the best possible historical reprints. We appreciate your understanding of these occasional imperfections, and sincerely hope you enjoy reading this book. CHAPTER II. THE DARK CLOUD. CHAPTER III. THE DARK CLOUD BURSTS. CHAPTER IV. THE LOST HOME AND A FOUND FRIEND. CHAPTER V. ON THE TRAIL, AND A SUDDEN DEPARTURE FROM IT BY SETH. CHAPTER VI. A RUN FOR LIFE. CHAPTER VII. THE EXPERIENCE OF SETH. CHAPTER VIII. AN UNEXPECTED MEETING. CHAPTER X. A COUPLE OF INDIAN CAPTIVES. CHAPTER XI. STILL IN PURSUIT. CHAPTER XII. PENCILINGS BY THE WAY. CHAPTER XIV. IN THE ENEMY’S CAMP. CHAPTER XV. MANEUVERING AND SCHEMING. CHAPTER XVI. IN WHICH A HUNTER’S NERVES ARE TESTED. CHAPTER XVII. ENCOMPASSED BY DANGER. CHAPTER XVIII. GETTING OUT OF THE WILDERNESS. The clear ring of an ax was echoing through the arches of a forest, three-quarters of a century ago; and an athletic man was swinging the instrument, burying its glittering blade deep in the heart of the mighty kings of the wood. Alfred Haverland was an American, who, a number of years before, had emigrated from the more settled provinces in the East, to this then remote spot in western New York. Here, in the wilderness, he had reared a humble home, and, with his loving partner, and a sister, laid the foundation for a settlement. True, this “settlement” was still small, consisting only of the persons mentioned, and a beautiful blue-eyed maiden, their daughter; but Haverland saw that the tide of emigration was rolling rapidly and surely to the west, and, ere many years, the villages and cities would take the place of the wild forest, while the Indians would be driven farther on toward the setting sun. The woodman was a splendid specimen of “nature’s noblemen.” His heavy coat lay upon a log a short distance away, and his swelling, ponderous chest was covered only by a close-fitting under garment, with the collar thrown open, showing the glowing neck and heaving breast. Substantial pants met the strong moccasins which encased his feet. A small raccoon-skin cap rested upon the back of his head, exposing his forehead, while his black hair swept around his shoulders. His features were regular and strongly marked. The brow was rather heavy, the nose of the Roman cast, and the eyes of a glittering blackness. So he stood with one foot thrust forward; his muscles, moving and ridging as they were called in to play, betrayed their formidable strength. Still the flashing ax sank deeper and deeper into the oak’s red heart, until it had gone clean through and met the breach upon the opposite side. Then the grand old forest king began to totter. Haverland stepped back and ran his eye to the top, as he noticed it yielding. Slowly it leaned, increasing each second, until it rushed seemingly forward, and came down to the earth with a thundering crash and rebound. He stood a moment, his hot breath issuing like steam from his chest, and then moved forward toward its branches. At that instant his trained ear detected a suspicious sound, and dropping his ax, he caught up his rifle and stood on the defensive. “How de do? how de do? ain’t frightened I hope; it’s nobody but me, Seth Jones, from New Hampshire,” said the new-comer in a peculiar accent. As the woodman looked up he saw a curious specimen of the genus homo before him. He is what is termed a Yankee, being from New Hampshire; but he was such a person as is rarely met with, and yet which is too often described now-a-days. He possessed a long, thin Roman nose, a small twinkling gray eye, with a lithe muscular frame, and long dangling limbs. His feet were encased in well-fitting shoes, while the rest of his dress was such as was in vogue on the frontiers at the time of which we write. His voice was in that peculiar, uncertain state, which is sometimes seen when it is said to be “changing.” When excited, it made sounds singular and unimaginable. The woodman, with characteristic penetration, read the man before him at a glance. Changing his rifle to his left hand, he extended the other. “I shall probably stay till you git tired of me, at any rate,” laughed the eccentric Seth Jones. “Don’t know ’bout that,” replied Seth, shaking his head and looking to the ground. “Are you sure?” asked the woodman, betraying an anxiety in his speech. “My conduct toward the Indians has ever been characterized by honesty and good will upon my part, and they have ever evinced a friendly feeling toward me, and my helpless ones. I place great reliance upon this state of feeling, in fact, my only reliance. “I fear there is too much truth in your suspicions,” replied Haverland, in a saddened tone. So saying, Alfred drew on his coat, slung his rifle and ax over his shoulder, and struck into a path in the forest, which he himself had used, and with a thoughtful tread, made his way homeward. Close behind him, followed his new-made friend. During the walk homeward, Haverland spoke but few words, although his loquacious friend kept up a continual, unremitting stream of talk. The woodman’s heart was too heavy to join him in his humorous, pointless words. Although dark and fearful suspicions had flitted before him, he had closed his eyes upon them, until he could no longer shun them, they appeared at every turn, and now resumed a terrible certainty. Although at the time of which we refer, the Revolutionary struggle of the colonies had closed, and their freedom was placed upon a firm basis, yet universal peace by no means reigned. Dark, sanguinary, and bloody tragedies were constantly enacted upon the frontiers for a generation afterward. The mother country, failing in her work of subjugation, continued to incite the Indians to revolting barbarities upon the unoffending inhabitants. They found them too-willing instruments, and, instigated by them, a protracted war was long maintained; and, when the moving cause was removed, the savages still continued the unequal conflict. As every one acquainted with our history must know, the war on the frontiers has been an almost interminable one. As the tide of emigration has rolled westward, it has ever met that fiery counter-surge, and only overcome it, by incessant battling and effort. And even now, as the distant shores of the Pacific are well nigh reached, that resisting wave still gives forth its lurid flashes of conflict. In a pleasant valley, stood the humble home of Alfred Haverland. His own vigorous arm had cleared off a space on all sides, so that his residence stood at some distance from the forest, which rolled away for miles. In the clearing still remained the stumps of the fallen trees, and in some places the rich, virgin soil had been broken, and was giving signs of the exhaustless wealth it retained in its bosom, waiting only for the hand of man to bring it forth. The house itself, was such as are generally found in new settlements. A number of heavy logs, placed compactly together, with an opening for a door, and one for a window, were all that could attract attention from the outside. Within, were two apartments, the lower and upper. The former was used for all purposes except that of sleeping, which, of course, was done in the upper. In building it, Haverland had made little preparations for defence, as he fondly hoped it would never be needed for such, and it seemed to him that the idea of danger would ever be before him, should he construct it thus. And, besides, should he use his utmost skill in the purpose mentioned, he knew it would avail him little. He had no means of withstanding a protracted siege, and a handful of assailants could bring him to any terms. As he stepped forth into the clearing, Ina, his daughter, caught sight of him, and bounded out the cabin to meet him. She paused suddenly, as she caught sight of a stranger, and with her hand on her mouth, stood, fearing to approach, and afraid to yield to the impulse of turning, and running into the house again. The father stooped, and touched his lips to the ruby ones of his blooming child, and taking her hand, moved forward toward the cabin. The father motioned to him that the theme was forbidden, and they walked silently toward the house. It was no wonder that Ina Haverland drew forth such encomiums from Seth Jones. She was, indeed, a beautiful creature. She had seen some fifteen or sixteen summers, several of which had been spent in the wilderness, which was now her home. She was rather small in stature, but graceful as a gazelle, free from the restraints which the conventionalities of life impose upon those of her age. She had dark hair, gathered in a roll behind, fine expressive blue eyes, a perfect Grecian nose, thin lips, and full chin, rendering the profile perfectly straight from the forehead downward. Her face was oval, and her complexion almost too light for a full enjoyment of health. Her dress was a semi-civilized one, consisting of a short skirt, with leggins beautifully wrought, and a loose sack, similar to the ones worn at the present day. Her small feet were encased in tiny mocassins, elaborately wrought with beads and Indian ornaments, and a string of wampum hung around the neck. She led the way toward the house, and the three entered. Haverland introduced his friend to his sister and wife, as a man who had chanced down in this direction, and who would probably tarry a few days. But the quick eye of his wife caught the thoughtful expression upon her husband’s face, and she felt there was something yet unrevealed—something deeper and more important, that was to be disclosed. She, however, forbore questioning or hinting, knowing that he would communicate what was necessary, when he deemed the proper time had come. A common-place conversation was maintained until the meal was prepared by the busy housewife, when they all gathered around the board. An earnest blessing was invoked upon the humble food, and it was partaken of in silence. Even the usually staid and calm face of Mary, betrayed an unusual expression of anxiety. Haverland now stepped outside, where he saw Seth, all agape, gazing at Ina, as she passed to and fro in the house. At this juncture, Ina appeared with a small vessel, as if she intended bringing some water from some spring nigh at hand. Ina laughingly yielded the vessel, and watched him as he took long, awkward strides toward the point where the path led into the forest. “How far is it off?” he asked, turning round, as he reached the point mentioned. Seth made some unintelligible answer, as he jerked his head back and disappeared. This simple occurrence that we have just narrated, although trivial in itself, was one of the circumstances which often controls important acts, and which seem to show that an all-wise Ruler, orders them to suit His purpose, and to bring about good in the end. Seth Jones had no object other than a little amusement in his course, yet before he returned, he saw how fortunate it was. He strode rapidly forward, and after passing a short distance, reached the spring. As he stooped, he was sure he heard a movement in the bushes beyond; and, as he was about to dip the vessel, he saw in the smooth face of the water, a movement in the shrubbery. He had too much cunning and prudence to affect knowledge of it, and he filled the vessel without betraying any signs of suspicion. As he rose to the upright position, he gave an apparently careless sweep of his vision, and not twenty feet distant he saw the crouching forms of two Indians! As he turned his back, there was a peculiar, uncomfortable feeling, as he knew that it was the easiest matter in the world to receive one or two cold bullets. He, however, quickened his step not in the least, and manifested no uneasiness, as he came to view in the clearing; and laughingly handed the water to Ina. “Come, let us go,” said Haverland, moving toward the spring. “Not that ar way, by a long shot!” said Seth, with a meaning shake of his head. Haverland looked searchingly at him, and he saw there was a deep meaning behind these words, yet he said nothing, and led the way toward the river. This stream was but a few hundred yards from the house, and flowed in a northerly and southerly direction. It was very smooth at this point, and not very wide, yet a mile or so farther down, it debouched into a large, broad, and deep river. The banks were lined, most of the distance, by close, impenetrable shrubbery, overreached by lofty trees, which were the edges of the almost interminable wilderness that then covered this part of the State, and of which great portions remain unto the present day. Haverland moved to a spot where he had often stood and conversed with his wife, when they first entered the place. Resting his rifle upon the earth, and folding his arms over the muzzle, he turned around and looked Seth full in the face. “Jest hole on a bit,” replied Seth, bending his ear as if to listen. Haverland watched him earnestly, and he also heard something unusual—as if some one were rowing a canoe in the water. His companion then stepped down to the water’s edge, and signalized for him to approach. Haverland did so, and looked down the river. Some hundred yards off he saw a canoe rapidly moving down stream, impelled by the oars of three Indians! “That is what I meant,” said he in a whisper, stepping back. “Did you see them?” asked Haverland. CHAPTER III.THE DARK CLOUD BURSTS. “Are you certain?” asked Haverland, with a painful eagerness. Shortly after, Haverland turned and entered the house, followed by Seth. He called his wife and sister in, and explained, in a few words, the circumstances. It was but a realization of the fears entertained, and no time was lost in useless laments. Preparations were immediately made for the removal. The woodman owned a large boat, somewhat similar to the flat-boats seen at this day upon the western waters. This was hauled in beneath the shrubbery which overhung the bank, and into this their things were placed. During the removal Seth remained along the river-bank, keeping watch of the stream, lest their enemies might return unawares. The removal occupied most of the afternoon, and it was not until the shadows were lengthening across the river, that the last article was placed on board. This completed, all seated themselves in the boat, and waited for the rapidly approaching darkness, to glide out into the stream.